Reflection of a Marketing staff meeting at H-D? I don’t know who the people in “People” are and candidly I don’t care. I use to have some casual interest, but as I’ve aged, I realized that promoting faux stars is how an industry makes itself feel good about itself. I grew up in a different time. Yes, I’m getting older, put me down for it, as some readers do, but unlike some of you I’m wise and experienced. And when I grew up, hard work, a bit of skill and insight would not only get you a house in a reasonable neighborhood, but the ability to support your family and go on vacation. Now, most people can’t even pay their bills. When you think of “aging boomers,” what comes to mind? Accelerating retirements, workforce skill shortages, stagnant incomes, or runaway health care spending? It’s unlikely you think about aging as an economic drag on Harley-Davidson, right? Down the road from my place, in the rolling farmlands north of Sunset Highway (U.S. 26), is a greasy burger joint called Helvetia Tavern … a place I’ve been known to frequent a little more often than my doctor might recommend, but the burgers are oh so good! If you stop there on any given summer weekend, you might see a dozen or more bikers parked in the lot, who are talking bikes and showing off their blacked-out or chrome-laden Harleys. And nearly all of them are over the age of 45. Many are over 50. This isn’t a coincidence. Harley-Davidson is a brand whose sales depend disproportionately — almost exclusively, in fact — on middle-aged males. There have been business case studies written and stock investment analysis looking at the H-D demographics while espousing doom and gloom for the company. The fact is that motor company has been working hard to try and capture a younger, more diverse set of riders, including women and are trying to appeal to the less experienced and younger riders who want cheaper alternatives. I would submit that riders younger than 30 generally lack the time, interest or the bankroll to buy a Harley for touring. And by the time they get into their 50s or older, riding with the wind in the face loses it’s allure. It’s the noise, it’s the traffic, it’s the increased dangers, it’s the joint pain of long rides, it’s hot, it’s cold, it’s raining, it’s… always something. I know that many of you are riding into your late 60s, but my observation is you’re doing it less frequently and you’re not buying a new bike as often as you might have in your 40’s. That means Harley has a growth problem with the boomer demographic that will not go away. Even with a robust economy which we are not experiencing. But, this is all well documented and debatably old news (“Living High on the Hog” (WSJ: February 5, 2007). The challenge for Harley-Davidson, in my view, is how they will continue to tap into the enormous resource that older Americans can provide? Boomers are generally healthier and more educated than prior generations. They are the largest group starting new businesses both in Oregon and nationally. And many economic projections about aging are misguided because they are based on outdated notions about retirement and what it means to grow older. Boomers are bombarded by media. In an attention overload society it’s very hard for the message to get noticed because it’s noisy out there and hype is more prevalent than ever. Boomers believe everything they’re into should last forever, but it doesn’t, just like them. Have all the latest gadgets but barely know how to use them. The boomers can’t square looking good with feeling bad. All the hogwash about 50 being the new 30 and 60 being the new 40 has convinced them that they’re breaking the laws of science, but the truth is people break down, everybody does. Want to be anti TV, but talk about doing Netflix marathons. Were into the Great Society, but now don’t want to pay taxes, especially if the benefits don’t flow to them. Thought college was where you grew up and learned something as opposed to overpaying for an entry ticket to a job. Still believe in government, and that their voice and vote counts. Know that you work ever harder for less money. Remember when companies were loyal. Remember when you fixed stuff, now you just throw it out and buy a new one. Want manufacturing to come back to the U.S., but still want very cheap electronics. Boomers talk about their health. The pills they take, the conditions they have, it comes up in conversation, and it doesn’t bug them, it’s akin to discussing bands when they were younger. Realize opportunity has slipped through their fingers. But are still dreamers nonetheless. Baseball, motorcycles and big block automobiles are so twentieth century. Baby boomers don’t stop talking about them, but their kids shrug their shoulders and lust for the latest mobile device. Sure some of these observations are broad generalities and I’m painting a large group with a wide brush here, but I’m sure something resonated, right? Once upon a time the baby boomers were the younger generation, champing at the bit to replace our parents. But now we’re fading off into the sunset, just like Letterman. So long the era of the baby boomers. They were the largest segment of the population, who pushed and pulled and help change the world. But, let’s face it, aging isn’t so much about the fact that we are getting older. It’s about how the motor company is always going after the young buyer and often denigrates or discounts the older demographic. They make an assumption that today’s Americans will behave in much the same way as prior cohorts did. I don’t know about you, but boomers in general have reshaped every element of society as they’ve aged. And, I would submit that Harley-Davidson is placing a disproportionate amount of focus and customer feedback on the youth lifestyle. Sean Cummings, H-D senior vice president of global demand reinforced this by stating: “We’re targeting the 55 million Generation X’ers to get them back out and riding.” In doing so, it makes it harder for Harley to keep a finger on the pulse of the aging motorcyclist. It might be someone else’s time (looking at you Millennials and GenX), but what is not fixed is how affluent boomers respond to Harley-Davidson motorcycle changes. You have to give boomers motorcycles/features they can get excited about and you can’t be too catering to old age. No one likes to admit they’re getting older and at the other end of the spectrum you’ll alienate the entire boomer group if you cater to youth. Photos courtesy of marketoonist.com and H-D. Nothing says ‘freedom’ like loading up your motorcycle with the minimum essentials and hitting the open road to explore. The U.S. has over 4M miles of public highways. But, which is the best road? Where are the roads less-traveled? Whether you’re looking for a ride on a twisty or a relaxed cruise on a scenic back country byway you’ll likely want a map. 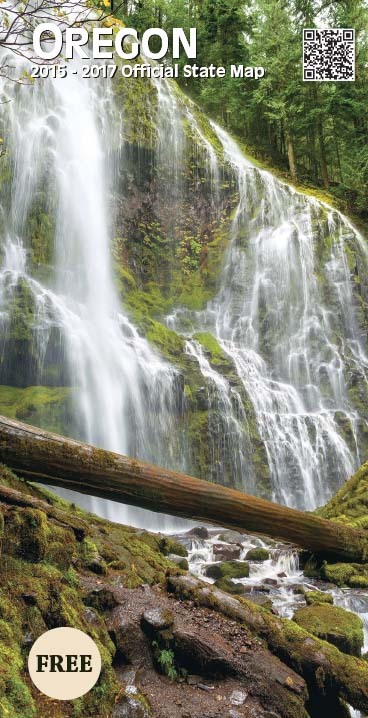 Have you ever traveled Oregon 238? It’s described as a ‘backway’ between Grants Pass and Medford and an exceptional alternative to traveling I-5. Later this week is the Hells Canyon Rally in Baker City, Oregon. I wonder how many riders will venture off I-84 onto the “Journey Through Time Scenic Byway” at Biggs? It’s an endless set of curvy roads with incredible scenery and plenty of space to get lost…mentally! This isn’t a post about planning out a trip to the Nth detail. Getting on the motorcycle with the wind in your face and traveling to no place in particular has a lot of merit. But you’ll likely need a map and I’m interested in the science of paper vs. screens. Yeah, I know many of you out there pinch, swipe and prod an electronic device to determine a route. I’m a bit “old skool” and think paper maps have a unique advantage that the more popular e-technologies miss. In most cases, paper has more topography than an onscreen electronic reader. An open paper map presents the motorcyclist with two clearly defined domains—the left and right pages—and a total of four corners with which to orient oneself. The rider can focus on a section of a paper map without losing sight of the whole region: one can see where the route begins and ends and where one section is in relation to those borders. A paper map is like leaving a footprint after another person on the trail—there’s a rhythm to it and a visible record of how far I’ve traveled. It makes it easier (for me) to form a coherent mental map of the geography. In contrast, most screens, and smartphones interfere with intuitive navigation of a location and inhibit people from mapping the journey in their minds. Beyond the obvious disadvantage of needing internet to access internet-based maps, a digital map might have you scrolling through a seamless number of pages, tap up or swipe over to a page at a time and it is difficult to see any one area in the context of the overall route—the screen only displays a single virtual page: it is there and then it is gone. I think the implicit feel of where you are on a physical map turns out to be more important than we realized. But, maybe you’re the type of rider who rolls past the trees, rocks and moss in flashes with no trace of what came before and no way to see what lies ahead. That’s fine. 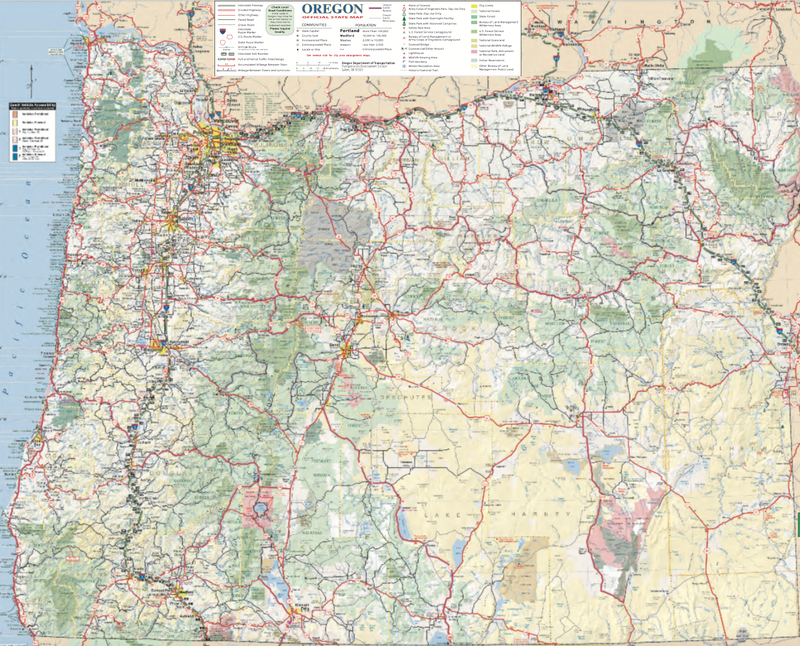 If you’re the type of person who takes a more deliberate approach to your riding adventures then you’ll be interested to know that Oregon recently updated the official state map. The last time it was updated was Summer of 2013. The new map has shaded relief for terrain and new colors designating BLM owned land. It also contains updated inserts of major cities as well as updates to state highways. You can down load or order a map HERE. Photo courtesy of ODOT’s Geographic Information Services. 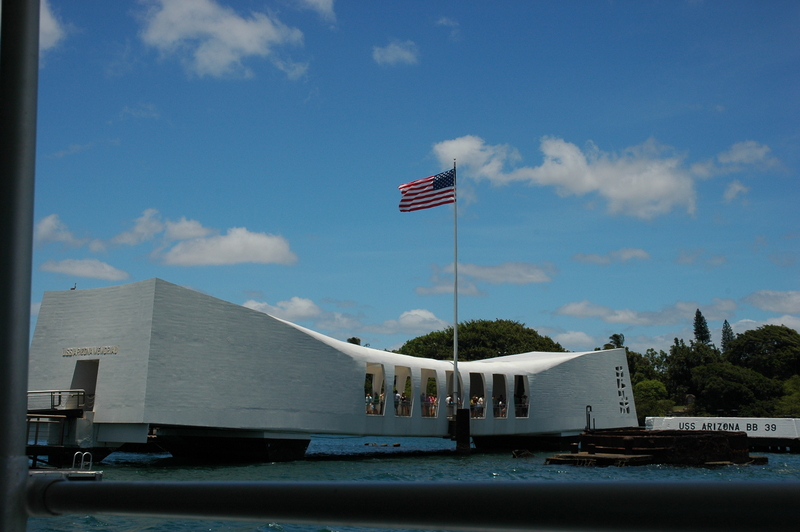 It was 73 years ago today – December 7, 1941 – that bombs fell on Pearl Harbor. 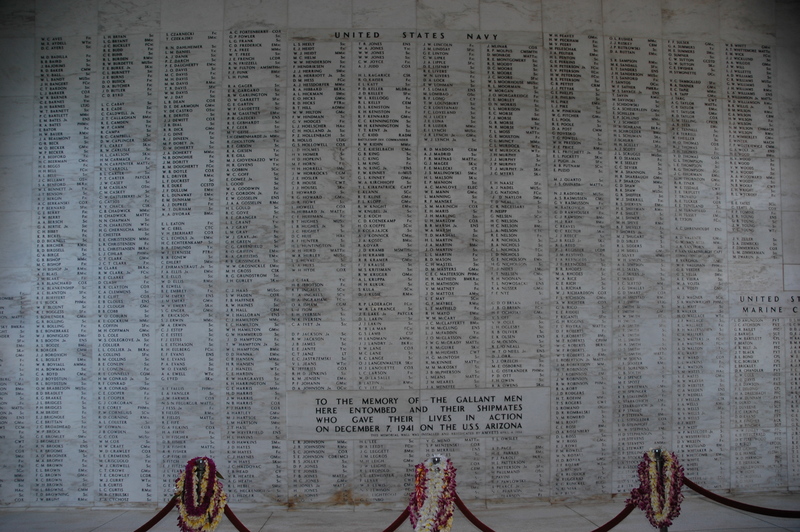 It was a stealthy attack that took the lives of more than 2,400 Americans, threaten internment of 150,000 people of Japanese ancestry in Hawaii and was a tipping point for the nation which jumped headlong into its 2nd major war of the century. It was a day filled with sacrifices and heroism – one that should not be forgotten. In the last few years Harley-Davidson has been known to confront stereotypes in their advertising. Think “E Pluribus Unum” campaign which means “Out of many, one”, and it is promoting the uniqueness of the Harley-Davidson riders. Or how about the “No Cages” campaign which puts “real” Harley riders in the spotlight, to reinforce the image of what you think about motorcycle riders. If nothing else the motor company should get credit, it does have a highly developed capacity to adapt their business to change. In the mid-70’s, A.M.F. went too far when it replaced the Harley name with its own. Apparently unaware of the magnitude of that marketing decision. What kept Harley going in those dark days, and what is driving it now, is the fact that the motorcycle it makes is not just a product, but rather the centerpiece of a lifestyle, “Hook”. 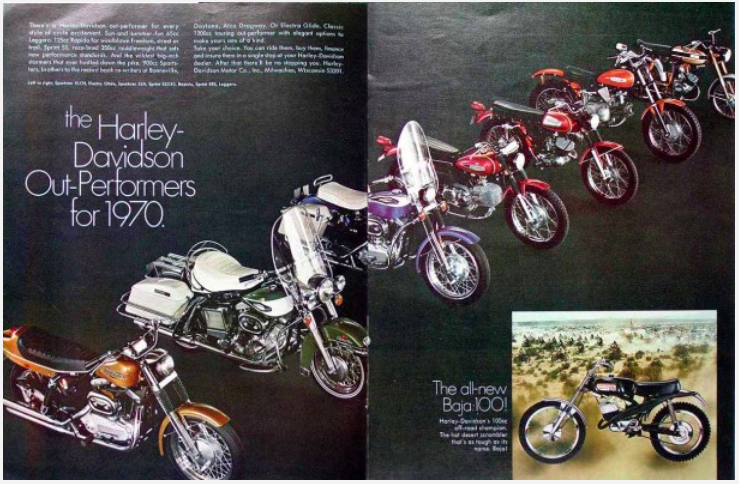 So on #TBT (Throwback Thursday) here is a 1970 advert about how Harley-Davidson was Out-performing! The American Revolution was a political upheaval that took place between 1765 and 1783 during which the Thirteen American Colonies broke from the British Empire and formed an independent nation, the United States of America. The British responded by sending combat troops to re-establish royal control and through the Second Continental Congress, the Patriots fought the British in the American Revolutionary War (1775 – 1783). 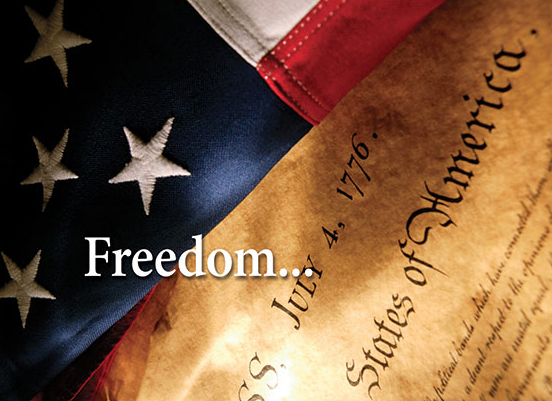 The Continental Congress declared independence in July 1776, when Thomas Jefferson wrote and the Congress unanimously approved the United States Declaration of Independence. There’s an old saying about those not learning from history being doomed to repeat it. And it feels like this past year has a number of parallels between the old and the new as if on a loop. The themes, conflicts, lessons, incidents of yesterday foreshadow today’s events. They all provide context for today and reminders of lessons learned—for remembering, implementing, and hopefully avoiding them in the future. As you prep the BBQ’s, set up the bean bag toss game and family and friends gather around to celebrate and light off a few rockets, let’s remember what we have, how we got it, and what it means to be an American — 227 years after the Declaration of Independence was written. Today, also marks the fact that there are only 180 days remaining until the end of the year. Ride safe! Photo courtesy of the internet. There’s been 19 motorcycle fatalities so far this year in Oregon. Too many and more than twice the 9 deaths in 2013 during the same period. ODOT has stated and the facts bear this out that many of the fatal crashes are due to operator error, unsafe riding–speeding, following too close and abrupt lane changes. And then we have the below idiot… Speeding, reckless driving, acting stupid and irresponsible on the way to work. On July 2, 2014 at approximately 6:26 a.m., an OSP senior trooper on patrol saw a black & silver 2003 Suzuki motorcycle displaying a Washington license plate eastbound on Highway 30 milepost 42 traveling 120 mph. When the trooper activated the patrol car’s emergency lights to initiate a traffic stop, the motorcycle sped up faster on the two lane highway passing other unidentified witnesses using the westbound lane and eastbound shoulder. The trooper lost sight of the motorcycle a couple miles later and terminated the attempt to stop it. At approximately 6:40 a.m., a report was received from a log truck driver that the reckless, eluding motorcyclist pulled into the Dyno Nobel (a leader in commercial explosives) plant parking lot where it was parked. The trooper and officers from St. Helens Police Department and Rainier Police Department arrived at the parking lot and found the unoccupied motorcycle. Subsequent investigation confirmed the motorcycle’s operator, Michael Tejada Echeverria, age 19, from Longview, Washington, worked at the plant and he was contacted by officers. Mr. Echeverria was arrested and lodged in the Columbia County Jail for Felony Attempt to Elude on a Vehicle, Reckless Driving, and Recklessly Endangering Another Person. He was also cited for Exceeding the Posted Speed in Excess of 100 mph, No Motorcycle Endorsement, and Driving Uninsured. Clearly Mr. Echeverria will drive without a motorcycle endorsement. He must be thinking that the U.S. Constitution guarantees him the right to travel the roads of the land freely, and that state laws don’t apply. Hey Mr. Echeverria, 1776 sent a telegraph to explain something… There is no constitutional right to drive a motorcycle or a car. You may have the right to travel throughout the country, but that means walking, taking a bus, taking a taxi, riding a bicycle, hopping, skipping, uni-cycling, kayaking, or using a skateboard. Since a motor vehicle can be a very dangerous instrument in unskilled hands, the state is fully justified in demanding proof that you can operate a motorcycle without endangering anybody, and in reserving the right to revoke your driver’s license if your conduct shows that you tend to disregard the rules of the road and the safety of the people around you. It’s okay to wish to be a rebel, but enjoy that skateboard when you get out of jail. 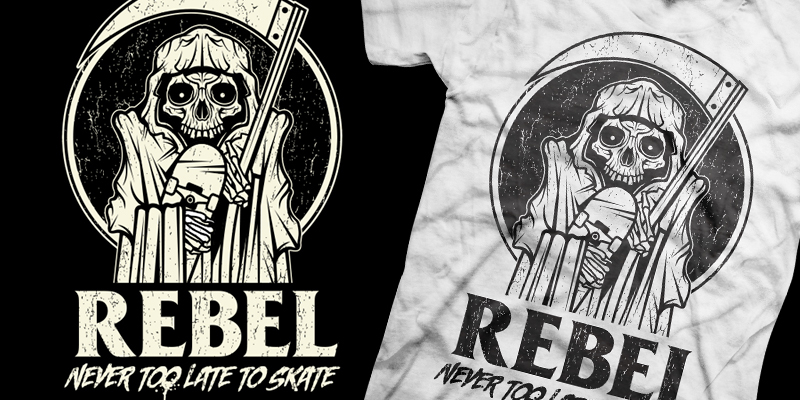 Photo courtesy of Rebel Rockers Skateboards. Today is the 7-year anniversary of this blog. I’ve been blogging all this time and still not sure how it happened! I remember when I started it back on July 2, 2007. I was nearly ten years into riding a FatBoy (not my first motorcycle, but the first Harley) and making plans for an epic ride to Sturgis and the idea of creating a blog and capturing the highlights of the trip seemed logical. It’s hard to believe I’ll ever have another blog milestone as big as this one. 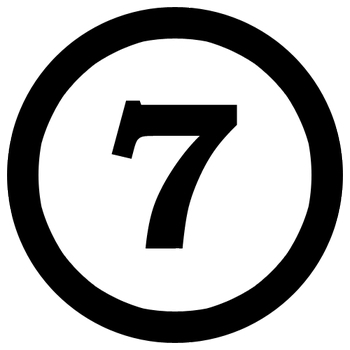 Will I blog for another 7-years? Who knows. It’s always been done as a hobby and for the sheer intrinsic pleasure — to ride freely and provide the motorcycle community a voice, talking about our interests, rides and issues with thought-provoking, wide-ranging and sometimes snarky commentary (the latter often flying over the head of some readers). That’s the trick… to enjoying the spectacle for seven straight years. There’s no looking ahead, only the here and now, and whatever happens with the wind in the face. Stats provided by WordPress and 7 photo courtesy of internet.